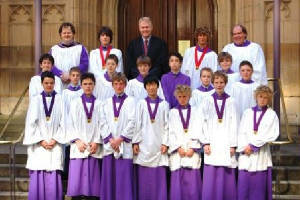 You may be thinking about the possibility of your son joining St Andrew's Cathedral Choir. if so - or even if you haven't - then this page is for you. It tells you a little of what goes on in this wonderful place. St. Augustine founded the song school at Canterbury Cathedral in 597, as part of his mission to convert the English, and Cathedrals have been associated with educating boys ever since. (St Andrew’s therefore belongs to a much older tradition than any GPS school). 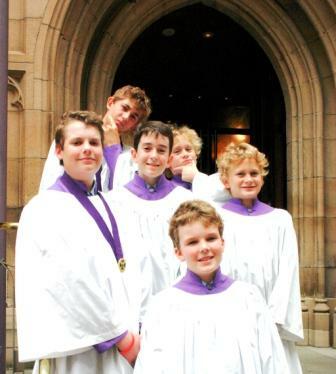 A boys’ choir is the oldest “youth ministry” extant and, unlike almost ever other child activity, is one which requires children to perform at adult standards. The Cathedral Choir is not a ‘children’s choir’ as such; rather it is a professional choir with children in it. Although St Andrew's Cathedral School has grown hugely over the last century by admitting non-choristers, the Choir lies at the very heart of St Andrew’s, and the school was similarly created in order to educate the choristers. The cathedral is the 'mother church' of the Diocese, and the H.Q of the Archbishop, and, being founded in 1819; St Andrew's is the oldest cathedral in Australia. From the funerals of Slim Dusty and Michael Hutchence, the many visits of the Queen & Prime Ministers, to the memorial service for victims of the Tsunami; to this year’s Commonwealth day Ceremony with the Queen & Prime Minister; the Cathedral is one of the real focal points of Australia as a nation. Cathedral services aim to be as excellent in both the music and the preaching of God’s word, and the cathedral is also a lively & vibrant church community meeting together throughout the week in many different ways. Membership of the choir is non-denominational although obviously there needs to be a commitment to the cathedral during the choir career. The services, the music & the preaching are obviously explicitly Christian. We like to encourage parents to get involved in the varied life of the cathedral church as much as they feel able. The choir is trained by the Director of Music, in conjunction with assistance from the cathedral & School. After audition, boys (up to Year 7) are first admitted as Probationers to assess attitude, maturity, temperament, reliability and punctuality, qualities that cannot be assessed at auditions. If the probationary period is satisfactory, they are admitted as choristers. By this stage they must have a working knowledge of the repertoire, basic music and vocal skills and have the ability to learn quickly. On entering the choir, each probationer is placed next to an experienced chorister. Boys are given a free professional singing lesson each week, and we are introducing general musicianship classes for them; so that they really get a first class musical education during their time here. Choristers are also encouraged to learn at least one other musical instrument, and many have gone on to successful musical careers. Being a cathedral chorister brings immense and proven benefit to a boy; in terms of maturity, self-reliance, team spirit, Christian knowledge, literacy, discipline and personal organization, as well as the obvious excellent musical training. The earliest notable to come from the ranks of chorister here at St Andrew’s Cathedral was Sir Charles Kingsford Smith, and he has been followed by Prime Ministers, Olympic Athletes, Opera stars, Composers, Test Cricketers, instrumental virtuosi, Bishops, Headmasters and Professors. 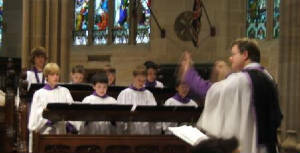 Choristers are expected to remain with the choir for as long as they can sing treble or to the end of Year 8. Extension into Year 9 is possible if the treble voice is still at its best. Vacancies regularly occur for Choral scholars in Year 10 and above (ex choristers who can sing alto, tenor or bass), and these take the form of a generous reduction in school fees. Many ex-pupils continue singing with the choir long after they leave school. The choir has a minimum of eight Sundays off during the year, four after Christmas and four spread over the other vacations (but the choir always sings Easter morning). This year, for example, the choir is singing 39 Sundays out of 54. A chorister may apply for one extra Sunday off each year. In term time, choristers rehearse Tuesday to Friday before school. Evening prayer is on Thursdays at 5.30pm. The choir sings on Sunday mornings, and occasionally on a Sunday evening, sometimes visiting other churches, for example, those where choir parents attend locally. The choristers also sing a short service of Morning Prayer on Wednesday mornings after the early practice. A choir schedule is issued at the beginning of each year and a choir newsletter is issued monthly. The Choir regularly broadcast on TV & radio, make CD recordings, and sing on TV & film soundtracks, and give concerts They are going on a short tour to New Zealand later in the year; followed by a major tour to Europe in 2007. 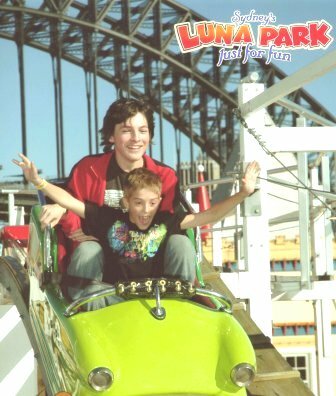 In addition to their first-class musical education, and being part of a first-class school, they get to meet prime ministers, monarchs & pop stars, mark some of the defining moments in the present-day history of our nation, as well as developing friendships that last them the rest of their lives. It truly is an incredible experience for a boy to be a part of the St Andrew’s Cathedral Choir.